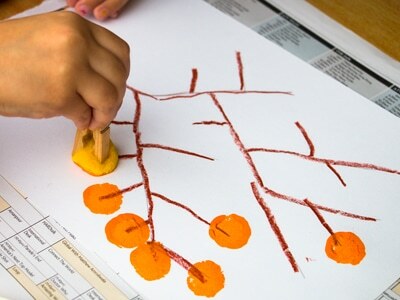 Let’s Make Mandarin Orange Tree Art! With Chinese New Year approaching we love to see all the bright colours and decorations going up all over town. My daughter particularly loves seeing the small Mandarin Orange trees with their red packets attached! 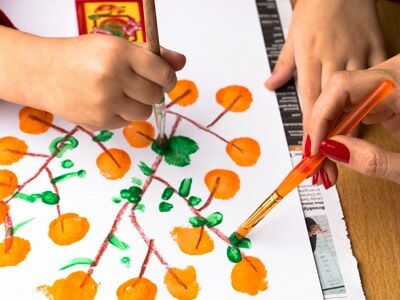 This Mandarin Orange Tree art is a fun art activity for kids of all ages to do during the Chinese New Year Holiday! The words orange and tangerine sound like the words for luck and wealth in Chinese. Not to mention the orange or golden colour resembles gold or money. The trees often have hong bao or lai see packets hanging on them. Add some colour to your home and help bring good fortune as well! Great idea for a special gift for friends and relatives. 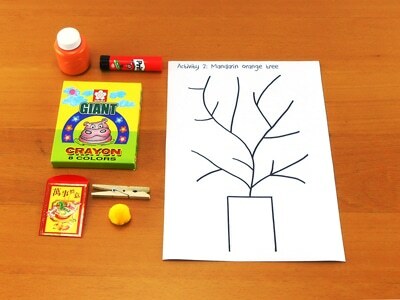 Here are step-by-step instructions and a template you can download to make your mandarin orange tree art even easier. Praise them for doing such a great job! Step 3: Do some pompom stamping! Do you want to add an orange or two that have fallen on the ground? Step 4: Add your red packet or pot! Now add the pot for your tree. 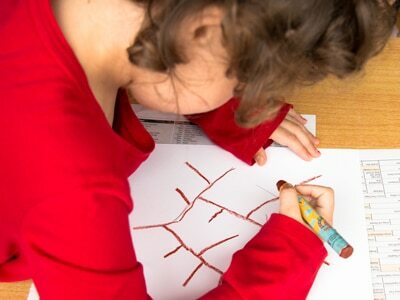 Take the red packet and help your child put glue on the back. Help them stick it onto the base of the tree. Or just draw and colour a pot shape! 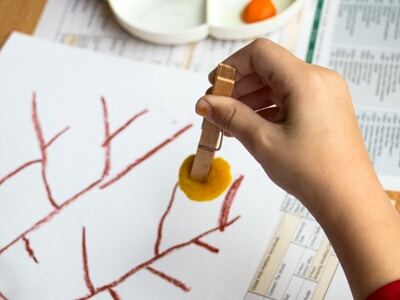 While it dries count how many oranges you have on your tree (and on the ground)! 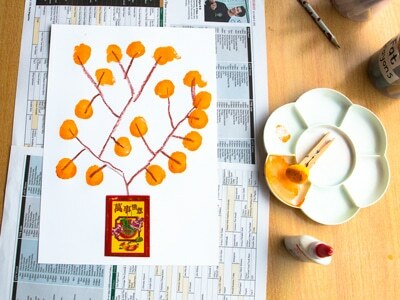 Your mandarin orange tree art is finished!